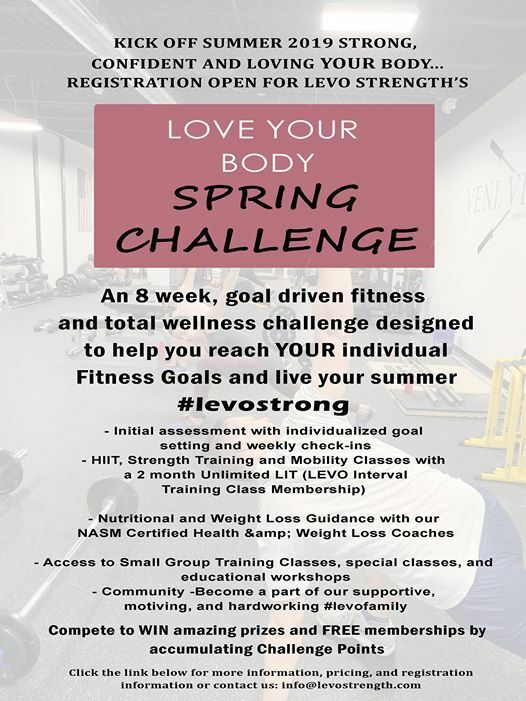 8 week fitness and total wellness program designed to meet YOUR individualized goals, that will help you burn fat, build strength & confidence and get the chance to win amazing prizes and free memberships! 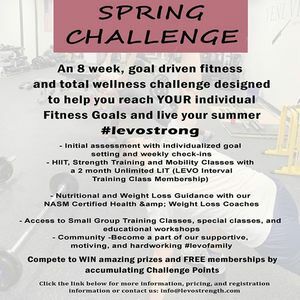 Start Date: You can begin your 8 week Challenge on any date between April 7th - April 30th. PRICE INCLUDES (but not limited to) : Initial consult with individualized goal setting and weekly check ins, 2 months of Unlimited Classes (HIIT, Strength Training, & Mobility), Weight Loss Guidance (Consultation with our NASM certified weight loss specialist), Nutritional Guidance (consultation with our NASM certified health coaches), 4 small group training sessions, specialty classes (i.e. yoga), workshops, & special events).